Rachel Walton, Faculty of Life Sciences, Manchester University, U.K . The formation of a strong shell is essential for the health of a mollusc population, both as a preventative measure against predation and also as protection from physical damage. Whilst the strength of the shell in individual species has been studied, there is little published work regarding the effects of environmental conditions on mollusc shell development and strength. Both aluminium (Al) and silicon (Si) have the potential to affect shell mineralisation, albeit in different ways. In molluscs, Al inhibits shell repair in Helix pomatia (Reineskog et al., 1990), but no studies on its impact on shell structure or strength have been conducted. In contrast to Al, it has been suggested that Si can increase the strength of calcified tissue; for example, human subjects with high dietary Si have a correlated higher bone density. Si is also found as opal in the radula of some molluscs, and in the very early stages of brachiopod shell development (Williams et al., 2001). It is therefore possible that Si affects shell mineralisation, although there is no published evidence of controlled co-deposition with calcium salts. I therefore hypothesised that the presence of Al will have a detrimental effect on the strength and integrity of mollusc shells, whereas the availability of Si will increase shell strength. This hypothesis was tested in the freshwater snail Lymnaea stagnalis. L. stagnalis eggs were hatched at room temperature in standard defined pond water (SDPW, White et al., 2008) at pH 7.4. 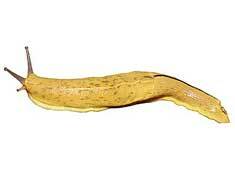 Juvenile snails were reared at 14°C, with a 12h:12h light:dark cycle and were fed lettuce ad libitum. After four weeks, the snails were divided into groups; one group was kept in SDPW alone, whilst other groups were raised in SDPW containing either Al (250 μg l -1) or Si (7 mgl -1). After nine months, snail shell strength was quantified through the measurement of maximum fracture loads using a 4301 Universal Testing Machine (Instron, High Wycombe, UK), with pressure applied across the width of the shell (n=20). Shell height and dry mass were also measured. Snail soft tissues and shells were digested separately in equal volumes of ultrapure HNO 3 and H 2O 2, following which Al and Si levels were analysed using inductively coupled plasma atomic emission spectrometry. Further samples of the fractured shells were ground finely and their density measured by measuring the proportions of solvents of different density required to maintain the fragments suspended in equilibrium. Parts of the fractured shells were viewed using environmental SEM with elemental analysis. As expected, levels of Al in the Al-exposed group were significantly higher in the snail soft tissues and shells compared to controls (p<0.05 in both cases), as were levels of Si in the Si-exposed group compared to controls (p<0.05 in both cases). The mean shell length from Al-exposed snails was 18.05cm, which was significantly smaller than both the control and Si-exposed snail shells which measured 20.05 cm and 19.48 cm respectively (p<0.01). Figure 1. The effect of Al and Si on the strength of Lymnaea stagnalis shell. 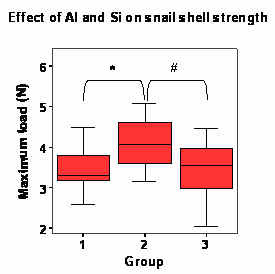 The strength of the L. stagnalis shells was increased in snails that had been reared in SDPW containing elevated levels of Si, when compared to controls (p<0.05; figure 1). There was no difference (p>0.05) between the fracture strengths of shells from Al-exposed snails and controls. Density of the shells ranged between 2.55 and 2.81 g cm -3, with individual shells each having a spread of densities in this range. The mean maximum measured density of the shells from snails reared in SDPW+Si was higher than that measured for either controls or the Al-exposed groups (p<0.05). The minimum shell density in all groups did not vary significantly. ESEM did not show any obvious differences between the fracture morphologies in the three groups of snail. Levels of Al and Si in the shells were relatively low and no obvious patterns of distribution could be observed. It is possible that both Al and Si were distributed throughout the shell in a non-specific manner. Further analysis of these shells would be useful to confirm this. 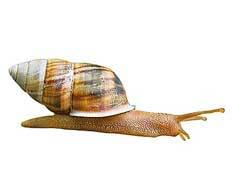 Si increases the strength of the snail shell, possibly through a rise in mineral density. Whether this difference is due to higher than normal levels of Si being present in our reared snails, or due to the control snails being deficient in Si is unclear; Si in the SDPW was kept artificially low through the use of ultrapure water and chemicals. There is no evidence from the ESEM with elemental analysis that this increase in strength is through controlled deposition. This study did not demonstrate a detrimental effect of Al on the strength of snail shells, although this is perhaps not surprising as conditions that result in weakened bone in mammals are usually a result of large acute doses of Al, rather than chronic low-level exposure. It is also possible that Al interacts differently with the calcium phosphates in bone compared to the calcium carbonates found in snail shells. However elevated but environmentally relevant concentrations of Al do appear to affect snail growth which is likely to have a detrimental effect on the snail population if replicated in the field. Figure 2. 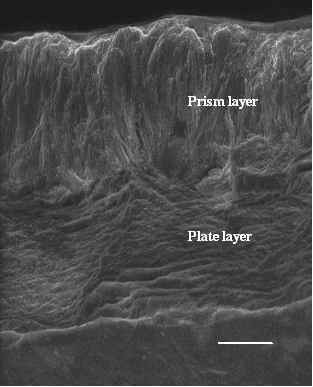 ESEM image of a fractured shell surface from a Si-exposed snail, showing both the prisms and plates. I would like to thank Mr Paul Lythgoe, School of Earth, Atmospheric and Environmental Sciences, for the ICP-AES analysis. I would also like to express my gratitude to the Malacological Society of London for their financial support. White, K.N., Ejim, A.I., Walton, R.C., Brown, A.P., Jugdaohsingh, R., Powell, J.J., and McCrohan, C.R. 2008. Avoidance of aluminum toxicity in freshwater snails involves intracellular silicon-aluminum biointeraction. Environ Sci Technol 42: 2189-2194. Williams, S., Lüter, C. and Cusack, M. 2001 The nature of siliceous mosaics forming the first shell of the brachiopod Discinisca. J Structural Biol 134, 25-34.